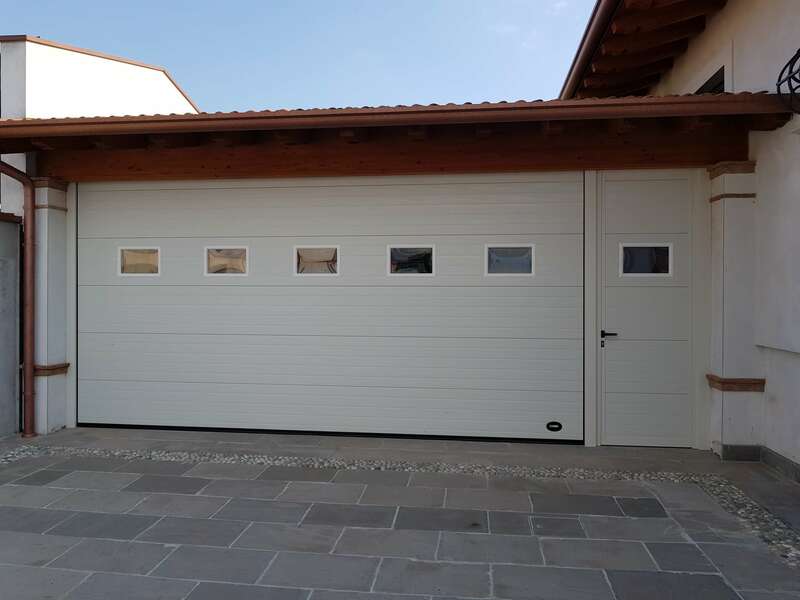 With painted aluminium frame, it is available in different dimensions: from 900 to 1200 mm wide and from 2100 to 2500 mm high, with standard black frame. Special dimensions and colours of the frame are available on request. 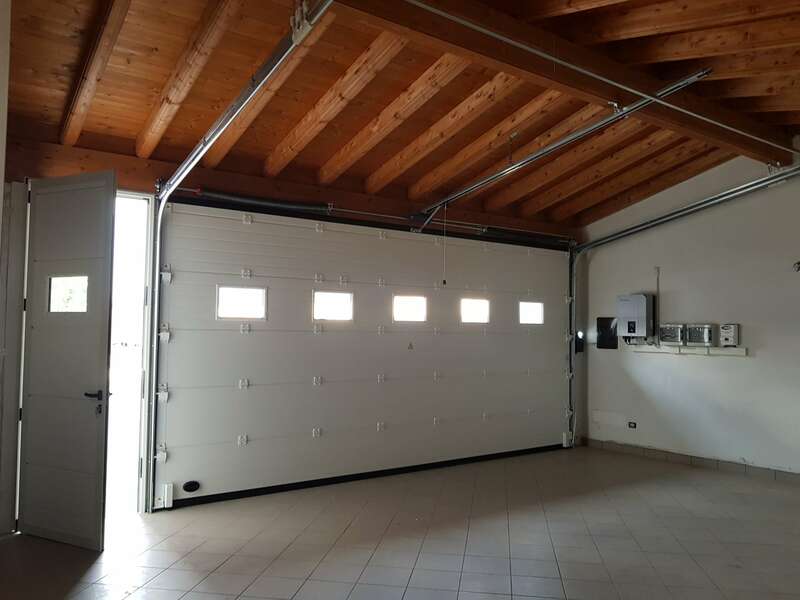 Lateral doors are made of the same panels of sectional doors. Accessories such as panic exit bars, electric locks and glass fanlights are available.